In less than 30 years, Shenzhen has grown from fishing villages with barely 310,000 residents into nowadays one of the biggest and most modern cities in China. Sitting next to Hong Kong, across the border of Sham Chun River, it is the home to 13 million inhabitants, the busiest shipping ports and a major manufacturing and research centre. With an exploding population and economy, Shenzhen is facing huge pressure on transportation. 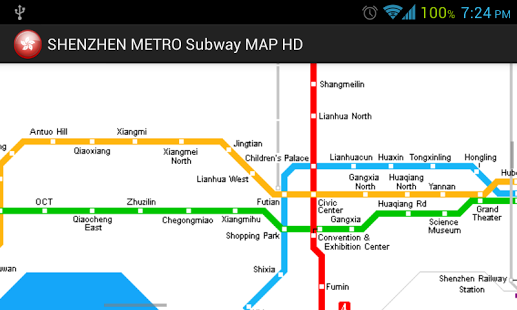 Shenzhen became the 6th Chinese city with metro, after Beijing, Hong Kong, Shanghai, Tianjin and Guangzhou. Opened in 2004, the Shenzhen metro is a modern system with platform screen doors and a contactless smart card “TransCard”. 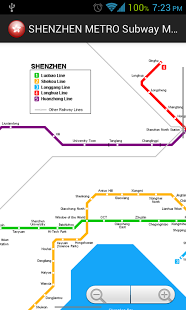 It also connects with the Hong Kong metro system at Luohu and Futian Checkpoint , where passengers can interchange to Hong Kong East Rail, after passing customs clearance. The subway line is operated by the Hong Kong MTR Corp., Ltd. 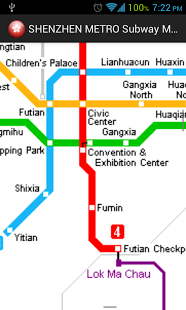 While the existing lines are being extended, line 5 is scheduled to open in spring 2011.